Another year is coming to a close and with it ends our current cycle of insurance plans. Each year, there are those of us who pay for dental insurance but never use it. Perhaps we think it’s only for emergencies. Meant to save us from those potentially steep costs that could occur without it. Alternatively, maybe we just forget. Either way, it’s a travesty to pay monthly for dental insurance and never use it. Not just because of financial practicality, but because our teeth need that attention. We should all be going to the dentist twice a year, at the least, for a Tulsa teeth cleaning. Dental cleanings take care of problems that we can’t deal with at home and provide our dentist with the opportunity to catch any oral health problems before they become severe. 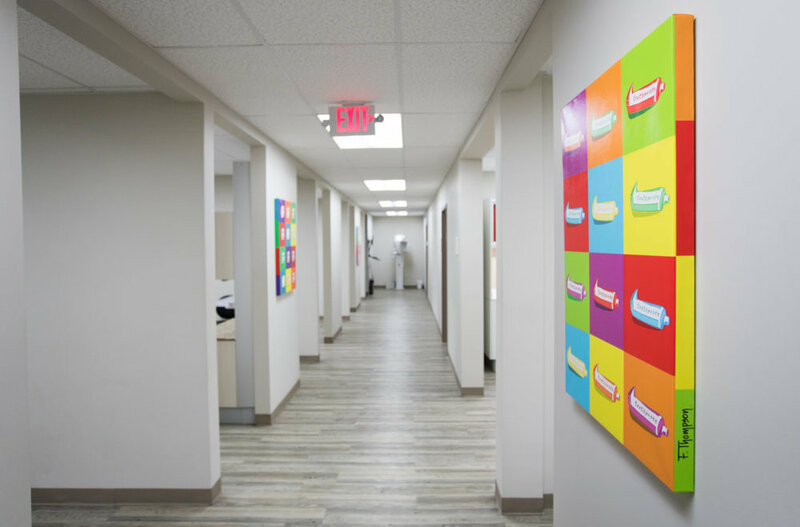 When we brush and floss our teeth twice a day and go for a Tulsa teeth cleaning twice a year, we are doing our best by our teeth. If not, well then, we aren’t doing very good by them. There just isn’t much wiggle room between proper oral hygiene maintenance and poor oral hygiene maintenance. Whichever route we take, it will be us, and our teeth, that reaps the consequences or rewards. A clean smile and a lack of oral health complications is well worth the effort, time, and money it takes to maintain. Especially if you already pay for dental insurance. It may be that you haven’t put anything towards your dental deductible for the year, yet. If that’s the case, you might be thinking this means there’s no reason to use this year’s insurance instead of just waiting and going in next year. Perhaps you believe your teeth are healthy enough to wait. After all, you brush and floss twice a day, right? Sadly, that’s not enough. There are bacterial build-ups on our teeth that at-home care simply can’t address. Plaque and tartar can only be removed by the tools and expertise of a professional dentist. Not just that, but there are warning signs they are trained to spot that we, at home, have no way of identifying. Skipping your Tulsa teeth cleaning because you feel like your mouth is healthy and because you clean your teeth every day isn’t a reasonable choice. When it comes to deductibles, the cost of a Tulsa teeth cleaning is rarely going to be much out-of-pocket when you have dental insurance. Even if you haven’t met your deductible yet. Most dental insurance plans cover the majority of dental cleaning costs from the get-go, independent of your deductible. Most likely you will only have a small co-pay to make, and that will be it. When it comes to our teeth, it pays to be pre-emptive and pro-active. Sure, there’s a small cost of time and money, but the payout of benefits towards our health and social well-being far exceed these. We’ve all been in that position of hiding our smile at one point or another, and we all do better when we don’t feel that embarrassment. Taking care of your teeth doesn’t just prevent physical health problems, it helps to keep our minds at ease during every-day social interactions. Don’t let that insurance slide by without using it. Schedule a Tulsa teeth cleaning today!